Associate Attorney General Rachel Brand is leaving the Department of Justice. Ms. Brand was the #3 official in main justice holding a position immediately behind Rod Rosenstein. Rachel Brand was to FISA surveillance what Tom Selleck is to reverse home mortgages. Indeed almost all of Ms. Brands’ exclusive recent responsibility has been to advocate for national surveillance authority within the DOJ. She was a very effective spokesperson. Ms. Brand is now going to be the legal head of Wal-Mart as the global governance director. This entry was posted in Deep State, Dept Of Justice, FBI, media bias, NSA, President Trump, Professional Idiots, propaganda, Spying. Bookmark the permalink. Where is the image in the post from? The ship’s-prow towers on that wall make make attacking the wall a suicide mission. I hope OUR new wall has towers on line-of-sight in order to protect it from real concentrated attacks. If Trump really drains the swamp, the swamp/shadow government/ traitors will go live in Mexico. They will forge a new Mexican alliance between the drug cartels, the old ruling families of Mexico, and themselves- the rich carpetbagging demonrats fleeing the USA. Trumps WALL will be the anvil on which Trump’s military hammers defeat onto the new and old evil ones in Mexico. Afterwards, we can all go vacation there again. He’s a digital artist, so the more it’s enlarged the more there is to see! That “Radoxist” image will be Detroit MI viewed from Windsor ON, after your President Trump cancels the NAFTA! And they blame Trump in advance for Third World problems they’ve caused. Wonder if that 2-week sewage spill from Mexico coincides with San Diego’s hepatitis outbreak? “A sewage spill that originated in Mexico dumped more than 140 gallons of raw waste into the Tijuana River, flowing into California for two weeks before it was finally stopped. Local authorities had to actively inquire about the stench in certain neighborhoods before information about the spill was released, reports said. The spill began in February 2017; San Diego’s HepA outbreak was at crisis levels by the beginning of September, 2017. San Diego’s Health Dept. website says HepA has an incubation period of 15-50 days? and can last up to 6 months? ” (CNN) An outbreak of hepatitis A has sickened 421 people and killed 16 in San Diego County between November and September, officials say. Additionally, 292 of the 421 have been hospitalized as a result of the viral infection, which causes inflammation of the liver. Over the previous five years, the county recorded just 28 infections per year on average. 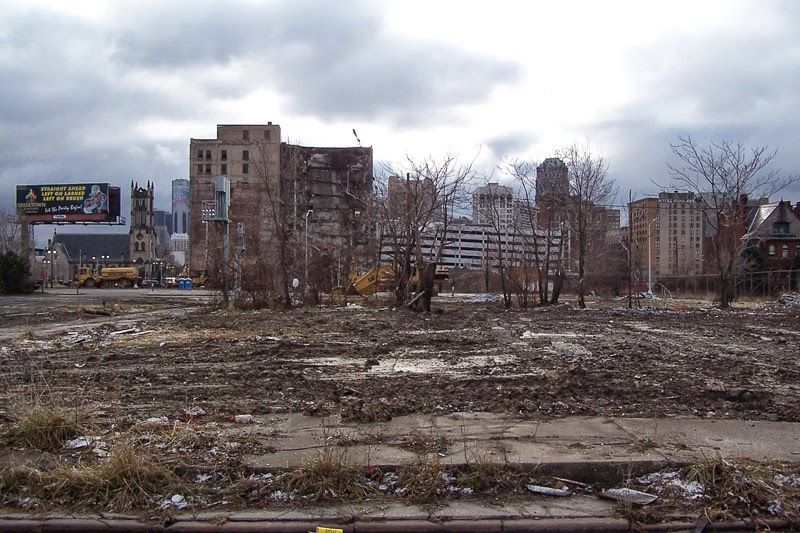 Detroit and Cleveland are cities run mostly by Democrats for decades with only a few exceptions dating back to WW2, and have a history of bad management making them waste dumps. Trump has little or nothing to do with their history, nor does NAFTA. When mentioning Detroit and Cleveland, please don’t forget that the outlying areas are some of the finest in the country. Metro Detroit and Metro Cleveland are nothing like their center cities. True in every urban / suburban comparison. I spent a portion of my life in Minneapolis region and Cleveland region, so I get it. The urban areas were my specific target. Fool, it’s Detroit NOW, after 1/2 Century of Democrat Socialism and Liberalism. so what is the root cause of this change?? Wow, that is amazing. Thanks. Rachel Brand was also the top boss over FOIA requests. Everybody blames Sessions for everything but FOIA belongs to Brand. Rachel must have worked closely with Rosensteins wife to assist in stalling all those FOIA requests. No wonder Rosey thinks so highly of her. Brand was overseer for past 9 months. William Baer was over FOIA under Obama. Brand was way down on the list…… Baer was the second term of Obama in 2012. Foia belongs to Sessions. He is in charge. If he doesn’t like what Brand is doing, that is why he is paid the big bucks. He is Brand’s boss but that’s like saying Walmart’s CEO is responsible for your local cashier. While true there are a lot of supervisors between the cashier & CEO so that means a lot of failure had to happen before it got that high up. Who below Sessions is dropping the ball & failing ? There are a lot of supervisors between the desk person at FOIA & Rachel Brand too. No, Brand is # 3 in the DOJ. That isn’t like a cashier at all. And Brand’s boss Rosenstein reports directly to Sessions, and Rosie is doing a terrible job at best. Now it seems that Trump will have to appoint a replacement. Since Rosenstein is in an uncertain position at best and Sessions has recused himself, looks like a Trump appointee will be handling prosecutions soon to occur, yes? That is if Rosenstein resigns, as I believe he will. That’s my hope 🙂 Rosenstein resigning is the sticking point. not anymore – besides was Jeff Sessions not HER boss? Doesn’t Brand ultimately answer to Sessions? Seems the Attorney General position is often defanged because people like Brand wield sole control over their areas. If these internal “bosses” operate independently, it’s no wonder we are in the messes we’re in, not just at DOJ, but also at State and FBI. In the private sector, every member of an organization is accountable and answers to someone. Even CEO’s answer to stockholders and boards of directors. 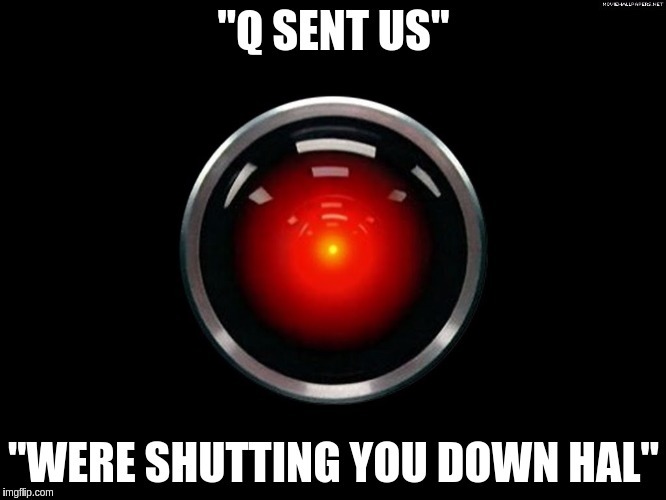 Only in the gov’t can people embed like Brand, McCabe, Strzok, etc., and just do as they please. Or as they were told under prior administrations. If the Attorney General of the United States has no oversight or influence over the attorneys working inside DOJ, the Swamp apparently won’t be drained unless they start resigning. The President can’t fire any of them because Mueller stands as the firewall protecting them. To fire any of them would result in Mueller launching yet another tentacle of investigation, hire another far Left attorney to chase another avenue of Fake Obstruction. The Mueller gang reportedly is still trying to create an instruction case over Comey’s firing. Under the Obama Regime, Inspector General Horowitz was unable to access certain activities and functions inside the DOJ. The reasons why oversight was limited are glaringly apparent now. What’s not clear is why the people that are resigning think if they bail off the ship they’ll be exempt from scrutiny, investigation and whatever may follow after that. One wonders whether she saw the proverbial handwriting on the wall: Rosenstein is going to go down; she will be next in charge if prosecutions are in order, and she does not want to be in that position. That could provoke a bail, even if she, herself, did not violate the law. Farmhand1927, you got me to login and hit “like” for your comment, thanks. “Defanged” is as good an adjective as any. Explains a lot too. Thx. They probably think that no one in government is ever held accountable and do what best suits their personal situation. The problem is that the government is so big, the man at the top can’t possibly know what the little guys are doing. Like the military, there is a chain of command. Military starts with a platoon Sgt. If there is a breakdown in the chain, the Post Commander doesn’t get the full picture of what his troops are doing. You have to depend on those in charge of Platoons to be the watchdog or the lazy corrupt soldier may go unnoticed by the higher ups. This is from the DoJ official site describing the function of the office of the Associate AG. No where do I see FOIA requests. From my reading, each division of the DoJ handles its appropriate FOIA requests. The Office of the Associate Attorney General advises and assists the Attorney General and the Deputy Attorney General in formulating and implementing Departmental policies and programs pertaining to a broad range of civil justice, federal and local law enforcement, and public safety matters. The Office oversees the following DOJ components: Antitrust Division, Civil Division, Civil Rights Division, Environment and Natural Resources Division, Tax Division, Office of Justice Programs, Community Oriented Policing Services (COPS), Community Relations Service, Office on Violence Against Women, Office of Information Policy, Executive Office for U.S. Trustees, Foreign Claims Settlement Commission, and the Service Members and Veterans Initiative. DOJ is organized into a number of bureaus, divisions, offices, and boards, which are referred to as “components.” Within DOJ, each component processes its own records in response to FOIA requests. Therefore, your request will receive the quickest possible response if it is addressed directly to the component that you believe has the records you are seeking. If you are unsure of which component would have the records you are seeking, you can read about each component and the types of records they maintain. Once you decide which component is likely to have the records you seek, you can view the list of FOIA contacts to get the address for that component’s FOIA office. Office of Information Policy is the department that FOIA falls under. “Ms. Brand is now going to be the legal head of Wal-Mart as the global governance director.”. It would be convenient for Ms. Brand if this office is located outside the U.S.A. .Perhaps in a country with no extradition treaty..
Rach thinks the Establishment will save their girl and resignation will be the end of it. Let’s see if that’s so. Rach will be shocked to hear there might have been some criminal events around FISA courts on her watch. Can you list those criminal events that she is associated with? She could be the link to McCain or Mueller, but I don’t see it yet. I need facts! She is gone, so why the long face? Gone but not prosecuted. You do understand the significant difference? Brand was no. 3 and there was expectations she would be a big contributor. But she was there for what, nine months? So people are saying she will need to lawyer up after being in the DOJ’s upper echelon for less than a year. Makes no sense whatsoever. If there’s movement with Rosenstein, DOJ no. 3 becomes a critical role. Brand probably isn’t the right choice. She knew it and knows what’s coming and left. We should say thank you. Not speculate about her arrest after nine months as No. 3 in DOJ. You would think it was Brand who begged Paul Ryan not to release the House Intel Memo. If you’re her brother, I’m sorry. but that’s a bizarre statement. You need to get better informed about culpability at law. Honestly don’t know much about her but I have heard people from the right state that it would be a blessing if she leaped over RR. You may be right in that she does not want to deal with being in the 3 slot. Do we really have any reason to speculate on her role, good or bad, since we have no idea how many FISA actions she was involved in? She could have been in as deep as Rosenstein, or not in at all. But my guess would be she isn’t leaving for reasons unrelated to fear of the future if she stays. People here are accusing Brand of FISA abuse(s). Violations that occurred late Ng before her arrival. That mean girls look makes me want to see women barefoot, pregnant and in the kitchen. Love the “are belong to us” reference. Soon, all their bases are belong to us! I’m more worried about Walmart shoppers. Why would Walmart give her that position if she’s compromised? If a significant number of co-workers are indicted for felonies…..maybe as an attorney this is not good for the resume. Who knows if she’s dirty? It’s easier just to assume they all are and clap and jump for joy if one of them is a good American. That is to some extent my speculation, formerdem. Another Cannery joins the choir. No kidding, Stasi comes to a Walmart near you. 3-4 percent of the population actually gay (probably less), and point w/e trans, and they are actually dictating policy? She is married, has two little boys. Her husband Jonathan Cohn is an attorney, was DOJ. They met at a Federalist group and they donate to Republicans. nor does any involvement in the Federalists qualify her/him as a “conservative”/person of integrity, or w/e you were trying to imply. 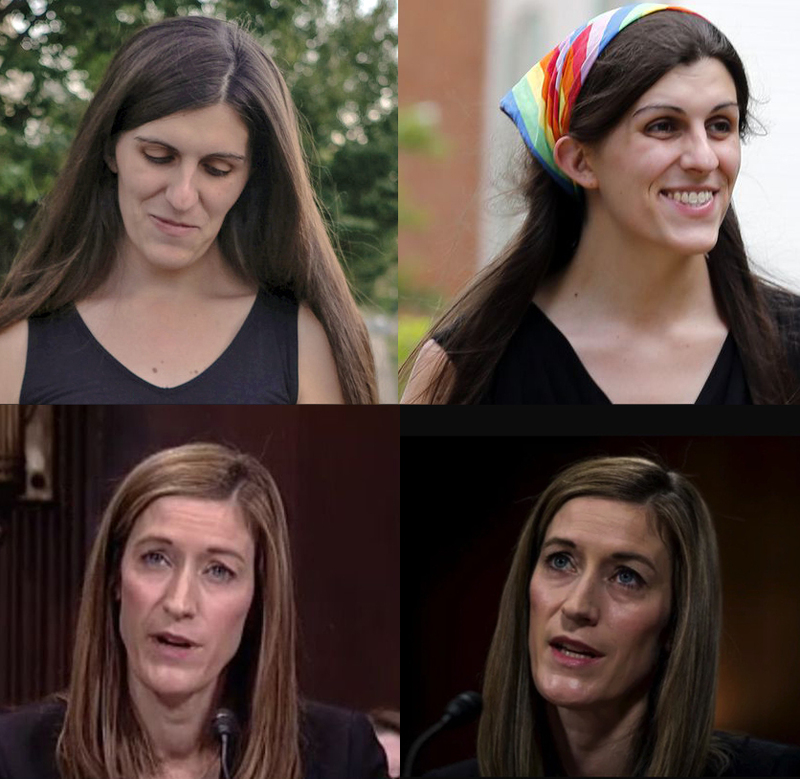 A Bush/Obama bad actor – CLEARLY part of the deep state’s foul campaign to indoctrinate/mind control people into their bizarre gender re-shaping HOAX narrative…and apparently, it’s working. Walmart doesn’t have greeters any more. I’ve known tall thin women with big jaws and long lumpy necks like that. I date way back before the LBGT activist days. LOL how did you know they were women? just curious – your initial comment defended her honor as a “woman”, but also as a conservative “white hat” with implied integrity…i’ll agree to disagree about her gender, but her swamp globalist pedigree is undeniable. and i’ve known plenty of masculine type women too – do you really mean to tell me that you look at brand and don’t immediately identify a MALE? i know you said you were getting on – maybe you haven’t been to your ophthalmologist lately? Gee, not all women look like Melania Trump (although that would be nice). I am always a bit puzzled by the fixation on appearance. Perhaps you should pay more attention to “appearance” to recognize the foul, SECULAR, globalist mind control agenda of gender “re-assignment” being pumped by the media. It’s been happening relentlessly for some time now. IMHO, the CTH needs to refrain from criticizing a person based on the looks God gave them. To me it’s the lowest form of bashing and not worthy of conservatives. How a person chooses to dress and create a public image, is of course a different matter. Whew! What a relief- I wouldn’t want anyone to think you were representative of the CTH “group”. You made it about “appearance” by repeatedly bring it up. TruthplusTruth, your an idiot. How about focusing on facts that actually help this discussion. if anything, Brand’s physical structure is MORE masculine than Roem’s. again – I’m not posting this with homophobic intent…I have gay friends. Males and females have DISTINCT (‘though diverse) biological characteristics. They are not difficult to recognize if you choose to do so. FWIW I thought the top one was an ugly chick and the bottom one is Loki (Marvel Avengers movies) in drag. Especially the right pic of Brand. TruthplusTruth isn’t attacking Branch but rather pointing out a theory based on observation. Certainly TruthplusTruth risks offending Brand if turns out Brand is actually a biological female. I kind if thought that was the point if the Treehouse. To observe, think, and take risks calling it as one sees it. Not attack and namecall them like an SJW. For those that are “offended” at this non-PC line of thought – hey it’s “Caturday” over on the general daily thread! precisely like the mindlessness I’ve come to associate with current liberal thinking. You bet! 🙂 Progressives, conservatives, we all share the same fallen-from-grace humanity, blessed/cursed with a herd instinct. Progs cling to the herd no matter the truth. “Conservatives” is the group true critical thinkers fall into. Folks willing to seek the truth regardless if it’s painful. I think the Conservative Treehouse was setup as a refuge for this herd of patriots (of all nationalities) and free thinkers. Conflict and debate are healthy. Consensus of goal (MAGA) and morals (God and Country) is fine, but not consensus of thought by shutting down debate. 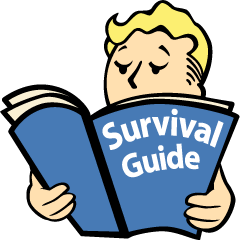 Some here – the pro Session types come to mind – seem to forget that sometimes in their zeal and tell us to shutup we’re rocking the treehouse. Well, pretty sure that is what it was built for, it can take it. Agree that the CTH can handle the “rocking”- your Sessions example is dead on, In such a situation you are criticizing action/ lack of action (etcetera) which is fair and necessary. I see personal appearance attacks as criticizing the creation and by default the Creator for His creation. Note that truthplustruth is not criticizing Brands looks (unlike me saying “ugly chick” about the other, trans 🙄) but is questioning her “cisgender” status, with facial feature analysis. Bashing someone’s appearance is a typical tactic of the left and the left’s “groupthink” forte, not an “actual discussion” with any value to SD posting. Your opinion is yours, but the tactics you are using to excuse posting whatever comes to mind are the tactics of the left which attack a person rather than their actions. Iff the discussion was about transgender issues of some sort, then your comments on her appearance might be in keeping with the discussion. I have never been accused of “groupthink” in any environment. I, too have strong opinions but I don’t expect to use that as a right to say whatever I want in any and every situation. IMO you can rock the treehouse all you want, as @Aesop Shrugged said, but attacks on a person’s appearance have no merit in this discussion. This discussion on Brand’s look is BS. I could careless about her looks. TruthplusTruth must be just a troll for this discussion is way outside our need and scope to understand her role in the picture of things. TruthplusTruth seems to posses the typical classic projection of self. I recommend we remove the Brand discussion about her appearance for I think it takes away from our creditably on topics and POV of what really matters. Rachel Brand is a dead ringer for David Muir on ABC News. Pffft. She should be a Walmart greeter. Corrupt witch. why are they not reporting this? Party-line vote. Looks like he might be on our side. MAGA!! but when they vote unanimously, it’s certainly OBVIOUS! She wasn’t qualified to hold office in the first place. Think about how many people hold offices they are not qualified for and could not hold but for the existence of “affirmative action” or other programs… which by definition exist to place incompetent people into jobs they aren’t qualified for. That’s not compassionate; it’s being used as a weapon against use. 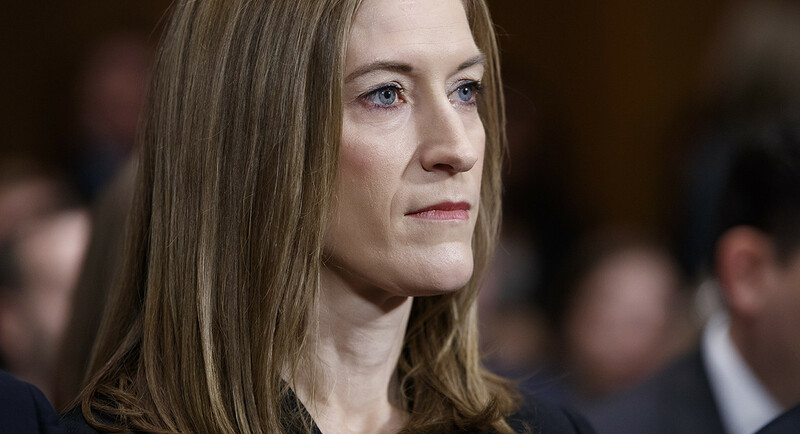 Rachel Brand served as Assistant Attorney General for the Office of Legal Policy in the George W. Bush administration and was appointed by President Barack Obama to serve on the Privacy and Civil Liberties Oversight Board. Brand was part of the legal team representing George W. Bush during the 2000 United States presidential election recount in Florida, and also served briefly as associate counsel in Bush’s transition team. Beginning in 2003, she served as an Assistant Attorney General for the Office of Legal Policy in the George W. Bush administration where she helped shepherd the Supreme Court nominations of John Roberts and Samuel Alito. Brand’s portfolio also included shaping the administration’s position on reauthorization of the Patriot Act, in which capacity she testified before the United States Senate Committee on the Judiciary on the benefits of using administrative subpoenas in terrorism investigations. During her tenure at the Justice Department, Brand was tangentially involved in the controversy surrounding Attorney General Alberto Gonzales’s dismissal of several United States Attorneys. She was floated by DOJ leadership as a top candidate to replace Margaret Chiara, who was ousted as part of the purge. Brand ultimately declined the position, however, and resigned from the DOJ in June 2007. In 2012, Brand was appointed by President Barack Obama to serve on the Privacy and Civil Liberties Oversight Board (PCLOB). She was confirmed on August 2, 2012 to a term ending January 29, 2017. Brand dissented from several recommendations included in the PCLOB’s 2014 report on NSA’s bulk metadata collection program under section 215 of the USA PATRIOT Act. She declined to join in the Board’s view that the program was illegal as a statutory matter and argued that, in policy terms, it struck a justifiable balance between privacy and national security and, as such, should not be discontinued. The Board, for its part, had recommended the program’s termination. Walmart is an interesting choice. Bush admin employees Dan Bartlett and Brian Besanceney went to Walmart…. now I’m curious if there are more. Wasn’t Hellary on the Walmart board at one time? A sound provenance, and quite happily noted his work under Scalia . She looks a lot like John Kerry’s two daughters. What I keep wondering is, do these scumbags who leave before they are prosecuted (or after!) receive a government pension? Do they stay on the taxpayer payroll? Right now I don’t see any wrong doing by her. Maybe in time, but it needs to be posted. Only connection I see so far is her connection to Mueller’s law firm. Man whew !!!! John Kerry needs a haircut! I thought that Sundance was a great teacher at Treehouse University,now i think ,he is a bombadier on aB52 dropping MOAB’s of truth ,on the uniparty possitions. The question of succession for Rachel Brand seems to be clouded by people who are “acting” in their positions because they have not yet been confirmed. Which leads me to wonder how many of Our President’s leadership choices remain unconfirmed? Shame on Walmart for hiring this person. What’s a nutty Brit doing in our DOJ? Has cleaned up nicely though.